What is Solution Focus Based Therapy? Solution Focus Based Therapy (SFBT) aims to help people experiencing difficulty find tools they can use immediately to manage symptoms and cope with challenges. This form of therapy involves first developing a vision of one’s future and then determining how internal abilities can be enhanced to attain the desired outcome. Therapists who practice SFBT attempt to guide people in therapy through the process of recognizing what is working for them, help them explore how best to continue practicing those strategies, and encourage them to acknowledge and celebrate success. In addition, practitioners of SFBT support people in therapy as they experiment with new problem-solving approaches. It is most often used to address challenges for which the person in therapy already has some idea of possible solutions. In SFTB, the person seeking treatment is considered the "expert" on their concerns, and the therapist encourages the individual to envision their solution, or what change would look like, and then outline the steps necessary to solve problems and achieve goals. 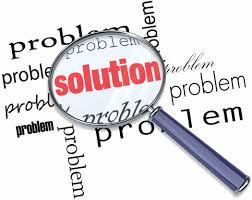 Because this modality focuses on solutions to issues, rather than the reasons behind them, it may be more effective at treating some concerns than others. Research has shown SFBT may be a helpful intervention for youth who are experiencing behavioral concerns or academic/school-related concerns. It has also proven effective as an approach to family therapy and couples counseling. This method is often used in conjunction with other approaches. SFBT may not be recommended for those who are experiencing severe mental health concerns.